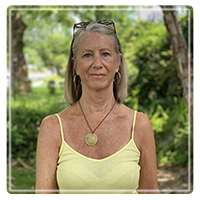 Montclair Therapist: Cathy Roberts - Therapist 07042. As a therapist, I am interested in your thoughts and feelings as well as your beliefs. I am equally interested in the experiences you had growing up in your family. I look at you both as an individual and as a member of a multigenerational family. I believe past experiences shape the core beliefs we have about ourselves and the world and influence the choices we make in the present. Although therapy often focuses on problems, I believe good therapy also identifies and builds on a client's existing strengths and resources. Good therapy is a respectful collaboration. I have extensive experience working with a wide range of presenting problems, e.g. depression, anxiety, relationships issues, etc. I have specialized experience working with addiction and codependency as well as post graduate training and experience in couples therapy. In addition to addressing my clients' problems, I always identify and build on their strengths and resources. This can include discussion of a client's spiritual life, often a taboo subject in therapy. I believe in tapping into whatever clients find comforting and can help their healing.